Keith W. Stanisce is a graduate civil engineer with extensive experience in the healthcare industry. Keith, in his 35 years of experience, has obtained the trust and confidence of owners, architects and subcontractors. Providing him the opportunity to work hand-in-hand with some of today抯 leading Institutions and signature architects. His leadership, integrity and knowledge has promoted him to the position of President and CEO of Barr & Barr. 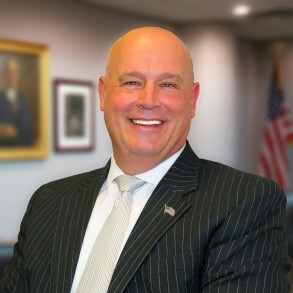 Keith has personally provided the leadership and resources to building a very successful working relationship for Barr & Barr within the healthcare industry. He has successfully led project teams through some of the toughest challenges; developing aggressive budgets and tight schedules within the healthcare sector. As a member of the American Society for Healthcare Engineering (ASHE) his focus has been on providing hospitals and healthcare facilities with the highly specialized, cutting-edge healthcare construction services they require and demand. Keith understands the challenges faced with every expansion, renovation or new construction project in an occupied medical setting. Keith closely tracks the industry抯 ever-changing regulatory requirements and continuously perfects his skills, keeping abreast of the latest standards, systems and interfaces enabling Barr & Barr to provide the highest quality of care in healthcare construction.